A tree describes some of the group's physical characteristics, contributions to the natural world, and the connections they have with people. Born in Memphis in 1958, Paul Kay Jr. later moved to and was raised in Lakewood, Washington. Paul graduated from the University of Puget Sound in 1980 with a BA in History. He now teaches History and Speech and Debate at the middle and high school level. 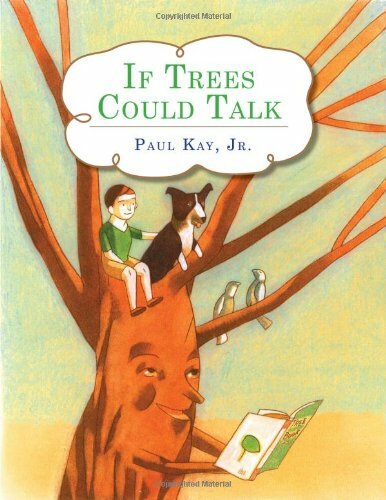 In 1996, Paul married Linda and together they have twin sons, Mike and William who are the inspiration for the children’s nature books, "If Trees Could Talk" and "If the Night Sky Could Talk". The family loves animals of all kinds. They share their home with “Ranger” the Border Collie, a rabbit named “Bun Bun”, “Lucy” the lizard, “Newton” the Newt, “Froggy” a Brazilian tree frog, and lots of exotic fish. In addition to writing and reading bedtime stories, Paul enjoys travel, playing the piano, astronomy, golf and coaching.